They don’t understand how they can make money. 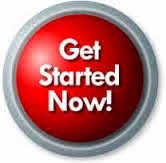 There are four simple steps to building a network marketing business. Not three, not five, not eight. All four steps must be followed, in order, every time with every prospect, to insure success. No exceptions! Approaching is the first step, and is simply engaging the prospect, asking open-ended questions (which require more than a “yes” or “no” answer) to find out what is important to them, and determining if you can provide a solution to one or more of their needs or concerns with your business and products. Inviting is the second step. If you determine that your products, or business, or both, can benefit your prospect, ask them if they would be willing to take a look at what you have to offer. Presenting/Closing is the third step and is nothing more than sharing the appropriate (based on what is important to them) information with the prospect, and then asking them if they would like to purchase the products, and/or get involved in the business, etc. Closing is equally as important as Presenting, but is often overlooked, avoided, or not done very well by many network marketers. Presenting and Closing are combined into one step because the reality is that, unless any Presentation has a Closing, everything is left dangling with either no conclusion (i.e., a signup), or no agreement on what will happen next and who will do it. Many people are uncomfortable with Closing because they feel that they are being “pushy” or acting like a “salesperson”. That doesn’t need to be the case. After you ask the question, be quiet, listen, and wait for their answer. Many prospectors make the mistake of talking too much and not allowing the prospect to answer the question. Most people however, will not sign up immediately. The most common reasons are that they have some questions or concerns that need to be addressed, they may need to discuss the matter with a spouse or significant other, they may not have the necessary funds to get started right away, etc. Just ask your prospect to specifically tell you what their objection(s) is are, agree on who needs to address each objection, what needs to be done, and when it will be done, and confirm with the prospect..
For example: “Jack, I understand that you need to wait until you get paid next Friday before you will be able to sign up. Is that correct? Once you have done that for each objection, you will be ready for the fourth and final step…. It is often said that “The fortune is in the follow up”, and truer words were never spoken. Common reasons why some network marketers fail to follow up include being disorganized, lazy, or they are reluctant because they don’t want to “pester” a prospect. If you have done a proper closing, you will not be a pest to your prospects. In fact they will be expecting to hear from you since you have agreed on what will happen next and when it will happen. So, be responsible and do the right things when you need to do them. All four steps must be followed, in order, every time with every prospect, to insure success. It is also important to know that these four steps can and should be used with ALL types of prospects – Friends, family members, fellow employees, casual acquaintances, people you meet throughout your daily life, cold market, warm market, purchased leads, etc., etc., etc. There was once a time when a good stew took days to cook, a visit to a friend took a fortnight or two, a letter took weeks to deliver, and a voyage across the sea could take months. Life moved at a nice, relaxing pace. But things have changed. Food is fast, messaging is instant, mail is delivered next day, information can be shared instantaneously, and you can travel around the world in a mere two days. 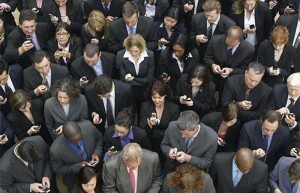 Gone are the days of snail mail, yesterday’s news, and waiting in line. These days, everything is available at the click of a button. This is why we are gearing up for USANA texting—an easier, faster way to keep up with USANA news, which will be available soon. With USANA texting, you will receive instant notification, so you can be the first to know. These messages will keep you up-to-date on announcements, account updates, sales, and more. But not to worry, opting-in will not expose you to a constant stream of texts that will bog down your inbox. In fact, USANA will only send up to 10 messages each month, so you can get the updates without the spam. In order to receive texts, you need to opt-in on USANAtoday. Once you have signed in, select the “Manage Account” tab at the top of the screen, click on “Add/Edit Phone Numbers,” and enter your cell phone information in the “Opt-In to receive SMS text messages” section. Don’t forget to check the opt-in box at the right of the screen, and save your changes! Everything these days is instant, so get with the times. Opt-in for texting today and keep up with all the latest and greatest USANA news! We at the USANA Home Office are celebrating another fantastic year—thanks to all of you—and are already focused on some incredible plans for our 20th anniversary in 2012 and beyond. The USANA Family has some major opportunities ahead with our three new markets, expansion efforts in China, and several groundbreaking announcements you’ll learn about in the coming year. To continue positioning USANA for strong future growth, we have made an exciting addition to our management team and have also established a new corporate officer. First, I am very pleased to announce that Douglas Braun has joined the management team as USANA's new vice president of marketing. Doug has more than 20 years of direct selling experience, most recently as president of Nikken, where he was responsible for business development and global sales and marketing. Prior to Nikken, Doug served as the senior vice president of global distributor marketing at Herbalife, where he executed strategies for relationship marketing, promotional collateral, training, and retention. We believe Doug’s strong direct sales background and experience in global marketing will make him a valuable addition to our management team. I also want to offer my wholehearted congratulations to Dan Macuga, who has been promoted to USANA’s chief communications officer. 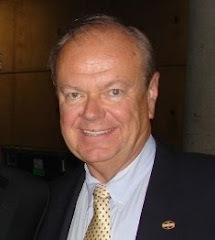 Dan will continue to work with his award-winning teams to ensure USANA’s brand and reputation are well represented to all stakeholders, including Associates, customers, prospects, employees, press, and the public. I hope you’ll join me in welcoming Doug to the USANA Family and congratulating Dan on his new position. We look forward to both of their contributions to what will be an incredible 20th anniversary year. 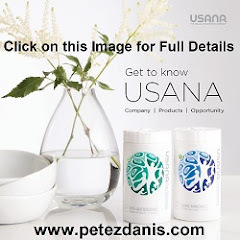 President, USANA Health Sciences, Inc. The holidays are just around the corner and most likely you’ve got everything in place—cookies in the oven, presents under the tree, mistletoe in the doorway, and stockings hung by the chimney. But before all the gift giving takes place, you have a chance to give to someone who is truly in need. Millions of children around the world are hoping for more than just toys for the holidays. For some it will be just another day—without presents and without food. But, thanks to the Children’s Hunger Fund, we can change that. The CHF catalog contains a menu of ways you can serve a child. The word “menu” can also be read “me ‘n’ you,” indicating that this gift is between you and a child in need. Browse through the gift catalog, located on the CHF website at www.chfus.org, to order food, clothes, school supplies, orphan care, and other life-sustaining gifts. Whether big or small, each donation makes a huge difference! For as little as $5, you can feed 100 children one meal; or for $24, you can feed an entire family for a month. There is no greater wealth than giving, so don’t wait—donate today and you can be the difference between hope and despair for a needy child this season. Previous research has shown a correlation between deficiencies in certain micronutrients, such as vitamin B12, folic acid, vitamin D, zinc, and selenium, and negative mood symptoms, anxiety, and depression. Because these micronutrients are found in most common multivitamin formulas it would make sense that a multivitamin might be able to help prevent some of these problems. A study performed by the National Institute of Complementary Medicine investigated this relationship in older men. The study was a double-blind, placebo-controlled trial comprised of fifty men between the ages of 50-69. The trial took place over an 8 week period and each of the subjects in the test group was given a daily supplement that contained vitamins, minerals, and herbal extracts. Both the placebo and control group were given a series of stress and mood questionnaires before and after the 8 week supplementation period in order to assess the effectiveness of multivitamins on mood on stress. In comparison with the placebo group, the control group showed a significant reduction on an anxiety and stress scale, an improvement in alertness, and an improvement in general daily function. While this study only looked at healthy older men, the researchers believe that the results are relevant to all older people. They also cite evidence found in previous research that led them to believe that these results could be applicable to a much wider population. Furthermore, this study only looked at the chronic effects of multivitamins over the period of several weeks; others have observed that acute mood improvements can also take place. The conclusion of the study was that a multivitamin, mineral, and herbal formula taken daily may improve alertness, aid in reducing negative mood symptoms, and may also help increase feelings of general well-being. As always, please call on us anytime we can be of assistance or support in your USANA business. 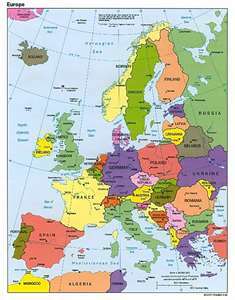 USANA’s reach in Europe will soon be growing. Starting in the second quarter of 2012, six additional European Union countries will be able to enjoy the benefits of USANA’s high-quality nutritional supplements, with more European markets to follow. Preferred Customer status will soon be available to the residents of Germany, Austria, Spain, Italy, Luxembourg, and Ireland. This move will follow on the heels of USANA opening in France and Belgium, which will make it possible to begin selling products in other European Union countries as well. Once these six additional markets are opened, residents will be able to enroll as USANA Preferred Customers and order products for personal use only. Depending on the success of these countries as PC-only markets, there may be an opportunity to open them to USANA businesses completely, allowing residents to become full-fledged USANA Associates. But not yet. And while PC-only markets are a great opportunity to expand your customer base, the decision to open a new market on the continent will especially depend on the success of France and Belgium. With the addition of these six countries, it’s an exciting time to be a part of the ever-growing USANA family. And this provides even more opportunities to spread true health—through USANA’s award-winning products—around the globe. Q: When will these six countries be open for business? A: Sometime in the second quarter of 2012, residents of Germany, Austria, Spain, Italy, Luxembourg, and Ireland will be able to enroll as USANA Preferred Customers only. Q: Will I be able to sign up Associates in these new markets? A: Not at this time. Residents of the new countries may only enroll as Preferred Customers. There is a possibility of fully opening new European markets in the future, but not at this time. Q. What promotional activities can I do in these new markets? A. None. While you may sell products to friends and acquaintances who are residents in these new countries for their personal use, you may not under any circumstances engage in advertising, opportunity meetings, unauthorized sponsoring, or make prohibited health claims. Such activities could damage USANA’s relationship with local governments and hinder our chances of fully opening new markets in those countries. Q: Will there be a USANA office in any of these countries? A: No. For now, the USANA France office in Paris will act as the headquarters for all European markets that have opened with Preferred-Customer-only status. Q: How will customers in the new countries place orders? Through the USANA France office by visiting will-call in person, or calling the USANA France call center and communicating in French or English. Order using the online shopping cart, which will be available in English only. Q: When will Germany, Austria, Spain, Italy, Luxembourg, and Ireland open as full-fledged USANA markets? A: The decision to fully open new markets is largely dependent upon the success of France and Belgium. Q: Will more European markets be opening soon? A: Over the course of the next few years, USANA will be moving regularly into additional European countries to allow residents to enroll as Preferred Customers. Q: How were we able to open these markets so quickly after Belgium and France? A: Since Belgium is a member of the European Union (EU)—an economic and political union of 27 sovereign European member countries—registering our products in Belgium allows USANA the ability to quickly move product into other EU countries because of existing EU rules. Q: Which products will be available in the new countries? A: We are currently working on determining which USANA products will be available in France and Belgium. Those products will then be available for personal use to Preferred Customers in any PC-only European markets. Q: Where do I get information about building my business in new markets? A: Go to the “New Market Information” box on the USANAtoday home page. The purpose of this series is to provide an overview of two common eye diseases, and to give an insight as to how nutrition can help reduce the risk or minimize these problems. Part 1 will summarize the results of a couple age-related eye disease studies (AREDS and LAST). Cataracts and age related macular degeneration (AMD) are the eye problems that were researched in AREDS. We are going to look at some of the physiology behind these health problems, so that we can better understand how nutrition can play a role in their prevention. After we have an understanding of these health problems and the research done on them, part 2 will look at some of the individual nutrients, and their role in maintenance of good vision. Finally, part 3 will provide information on the best dietary sources and supplements to address the risk of AMD and cataracts. AREDS is a study that was sponsored by the National Eye Institute. Research had previously linked eye health and nutrition, but they wanted to look more in depth at the potential connection. According to the research group, their purpose was to “learn more about the natural history and risk factors of age-related macular degeneration (AMD) and cataract” and to “evaluate the effect of high doses of antioxidants and zinc on the progression of AMD and cataract.” The study involved 3640 subjects, age 55-80. The subjects in the test group were administered daily amounts of 500 mg vitamin C, 400 IU vitamin E, 15 mg beta-carotene (25,000 IU vitamin A), and 80 mg zinc*. The results showed that supplementation slowed AMD by 25% and visual acuity loss by 19% in high risk individuals. These results have since been confirmed in several smaller studies. In the years since the original AREDS study, new research has also shown beneficial results from lutein, zeaxanthin, docosahexaenoic acid (DHA), and eicosapentaenoic acid (EPA). Another landmark study was the L.A.S.T. study (Lutein Antioxidant Supplement Study) published in the journal Optometry. The results of this study showed that AMD symptoms may be reversed through purified lutein supplementation or a supplement mix of lutein and other antioxidants such as vitamin A, vitamin C, vitamin E, and beta carotene. The dosage of lutein and zeaxanthin used in the study were 10 mg and 2 mg respectively. The National Eye Institute is currently undergoing a second study (AREDS2) to evaluate the effect of these nutrients on AMD and vision loss in high risk individuals. The doses being used are as follows: 10 mg lutein, 2 mg zeaxanthin, 350 mg DHA, and 650 mg EPA. Additionally, the study will also test the effect two modifications to the original AREDS formulation. They are: no beta-carotene, and a reduced dosage of zinc (25 mg/day). The lens is a clear part of the eye that focuses light onto the retina (the part that senses light). Because images must first pass through the lens to get to the retina, any distortion in the lens will lead to a fuzzy image. That is what a cataract does. It clouds the lens, resulting in a blurred image. Cataracts are typically a result of aging and the oxidation. They can occur in one or both eyes, and by age 80, more than half of all Americans have had cateracts. Cataract treatment involves a surgery where the cloudy, damaged lens is removed, and is replaced by an artificial one. AMD is a disease associated with aging that affects the macula, the most light-sensitive part of the retina. The disease gradually destroys sharp, central vision. There are two different types of AMD, dry and wet. Dry AMD is a result of the cells within the macula breaking down. 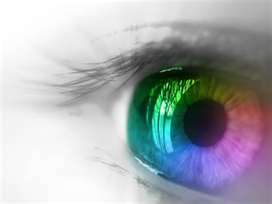 It starts gradually with blurring in the center of your vision, as conditions worsen central vision is completely lost. Wet AMD is rarer, and is the result of abnormal blood vessels leaking blood and fluid underneath the macula. They lift up the macula from its normal position, leading to rapid damage. Because of the rapid damage, central vision loss occurs quickly and leads to very advanced AMD. * Note: 2 mg copper was added to the AREDS formulation to prevent copper deficiency anemia, a condition associated with high levels of zinc intake. American Optometric Association. www.aoa.org/nutrition.xml. 26 Oct 2011. National Eye Institute. www.nei.nih.gov. 26 Oct 2011. In Part 1 of the series, we discussed cataracts, age related macular degeneration (AMD), and some large studies that showed how these eye problems are affected by nutrition. Part 2 will look at the individual nutrients and the effect they have on eye health. An observational study showed that women using vitamin C supplements over a 10 year period had a 64% decreased risk of developing cataracts. A second study had similar results and showed a 57% reduction in cataracts. They used a 364 mg/day dosage. Vitamin C (along with zinc, beta-carotene, and vitamin E) was used in the Age-Related Eye Disease Study (AREDS) discussed in part 1. The study showed that this treatment slowed AMD by 25% and visual acuity loss by 19% in high risk individuals. These results have since been confirmed in several smaller studies. Zinc is a traces mineral that is found in high concentrations in the eye. It plays a critical role in transporting vitamin A to the retina. Zinc deficiency has been linked to poor night vision and cloudy cataracts. Zinc was part of the same AREDS study as vitamin C that slowed AMD by 25% and visual acuity loss by 19% in high risk individuals. Several studies have also shown that it is linked to visual acuity. Lutein and zeaxanthin are carotenoids that have been shown to reduce the risk of AMD and the formation of cataracts. The main cause of cataracts is clouding of the lens due to oxidation. Lutein and zeaxanthin both serve as antioxidants, which help to neutralize free radicals that would otherwise lead to oxidative stress and damage in the retina. Many recent studies have shown lutein and zeaxanthin to reduces the risk of AMD and improve visual performance. Neither of these nutrients were included as part of the original AREDS. Because of the many promising results, the National Eye Institute is currently conducting a second study (AREDS2) to confirm if a supplement containing 10mg of lutein and 2mg of zeaxanthin reduces the risk of developing AMD. Fats are an essential part of the human diet. 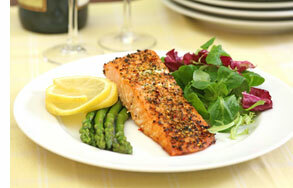 The two families of essential fatty acids are omega-3 fatty acids and omega-6 fatty acids. Most individuals get enough of the essential omega-6 fatty acids; however low intakes of omega-3 fatty acids is common, particularly Docosahexaenoic acid (DHA) and Eicosapentaenoic acid (EPA). These fatty acids are important in many aspects of health, including: membrane structure, neural development, regulating heart rate, blood pressure and inflammation. DHA is found in high concentrations in the retina. It has been shown that dietary deprivation of DHA in animals can result in visual impairment and retinal degradation. In addition to lutein and zeaxanthin, DHA and EPA are also being studied in the AREDS2. You’ve waited all year for this. 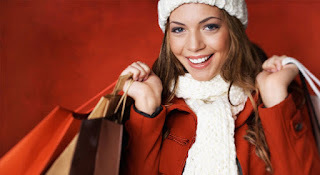 Don’t miss USANA’s Holiday Shopping Spree, from November 21–23! This three-day sale is the perfect chance to beat the holiday rush for all your gift-giving needs, while saving money on all of your favorite USANA products. You put a lot of effort into building your business and seeing how far you can take it. But have you ever stopped to consider where it could take you? 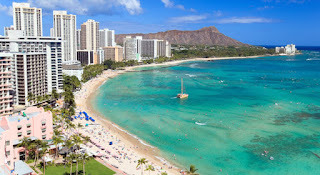 Let your business take you to the beautiful tropics of Hawaii during USANA’s Diamond Retreat 2012. Join the USANA management team and qualifying Diamond Directors to experience the unique culture of “The Gathering Place.” For six luxurious days you can bask in the sun of O’ahu, enjoy spa-like amenities, and take in stunning sunsets on an exquisite, private beach at the JW Marriott Ihilani Resort and Spa. 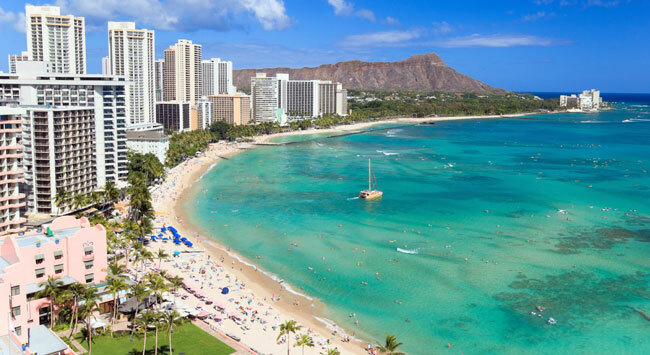 Whether you attend a luau, take advantage of amazing shopping, or learn to surf in the crystal blue waters, there is something that is sure to delight everyone. But tantalizing food, adventurous tours, and breathtaking views are not all that await you. Take your business to new heights during specialized training sessions with the industry’s top experts. Plan the next step for your business as you network and strategize with some of USANA’s most successful Associates. Don’t miss this opportunity to discuss business and spend exclusive one-on-one time with USANA’s management team. Make connections that will take your business beyond your wildest expectations. And in turn, see where your business will take you. Be sure to complete your Diamond run by March 2, 2012 to qualify for the Diamond Retreat 2012, which will take place April 17–22, 2012. Check out the Diamond Retreat page, located under “Recognition” and “Leadership Incentive Awards” for more information on how you can qualify.